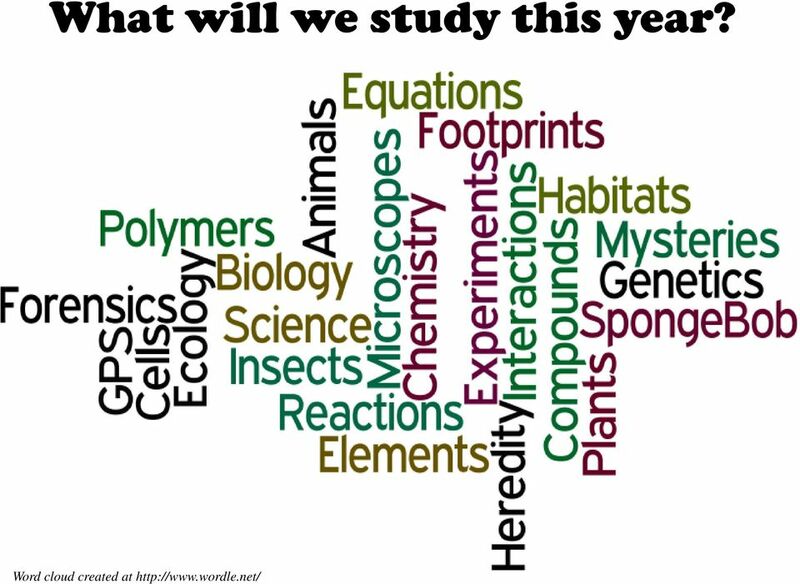 Download "What will we study this year? 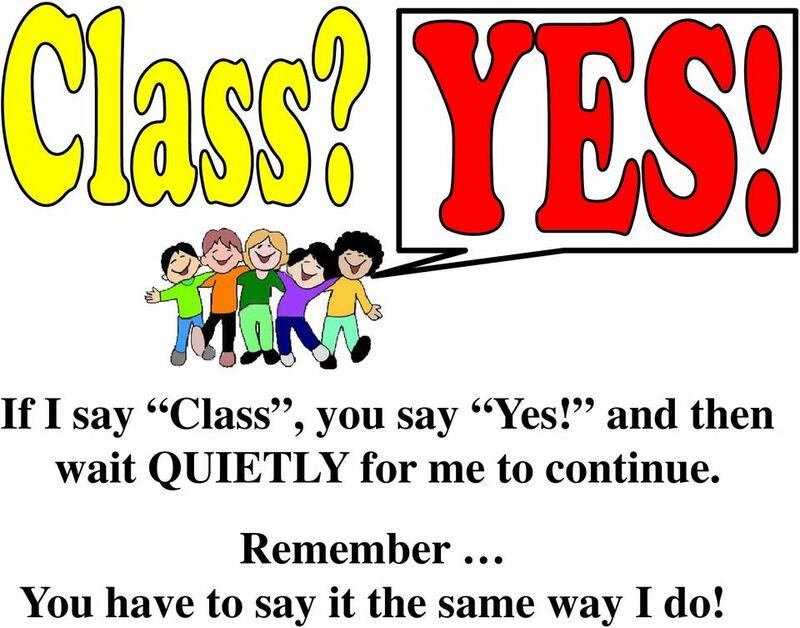 Word cloud created at http://www.wordle.net/"
3 If I say Class, you say Yes! and then wait QUIETLY for me to continue. Remember You have to say it the same way I do! 4 Follow directions quickly! Don t waste class time! Be quick about getting out your books, paper, and pencils or doing something that I have asked you to do. 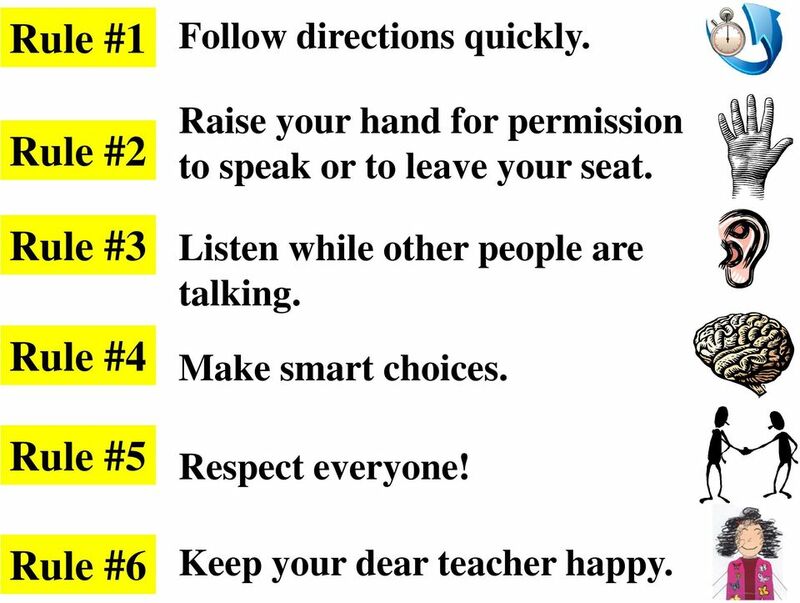 5 Raise your hand for permission to speak or to leave your seat. Wait to be called upon and don t blurt out answers! Stay in your seat unless you have permission to get up! 6 Listen while others are talking. 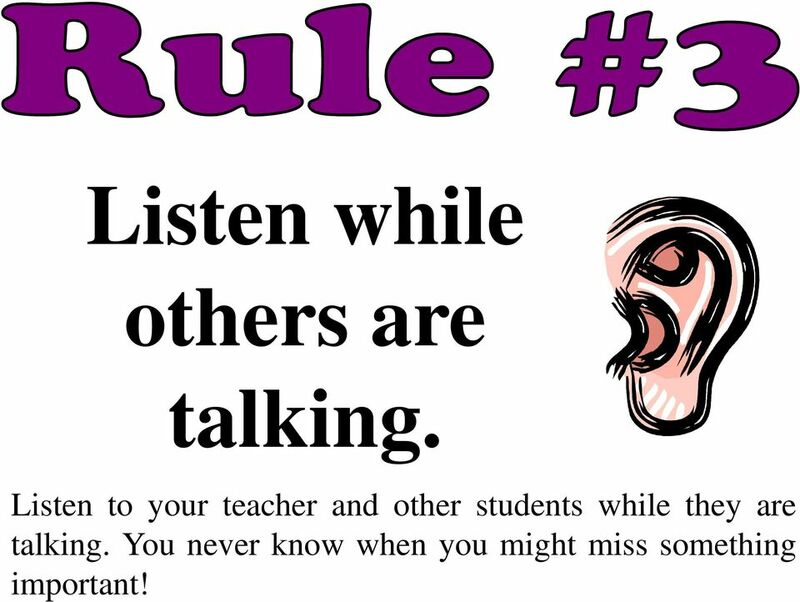 Listen to your teacher and other students while they are talking. You never know when you might miss something important! 7 Make smart choices! Complete all your work on time! 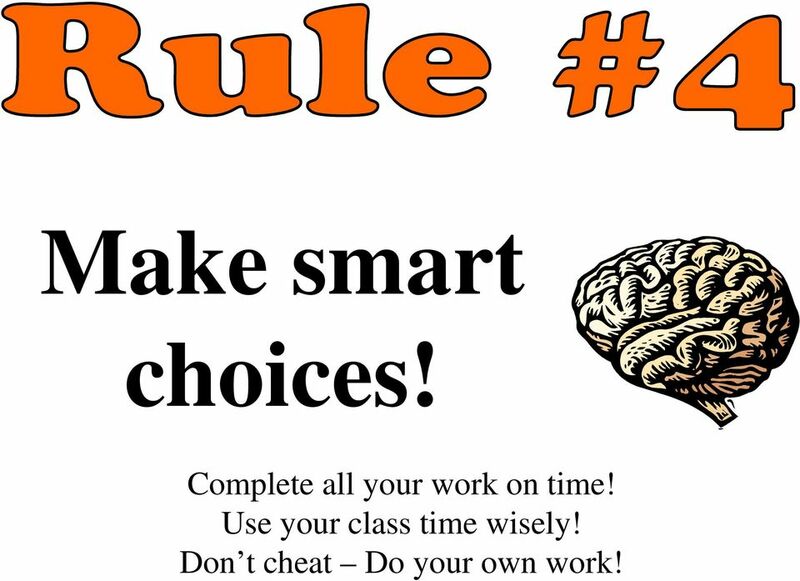 Use your class time wisely! Don t cheat Do your own work! 8 Respect Everyone! Don t borrow things without asking. Don t talk about other students or teachers. Be polite and helpful to your fellow students! 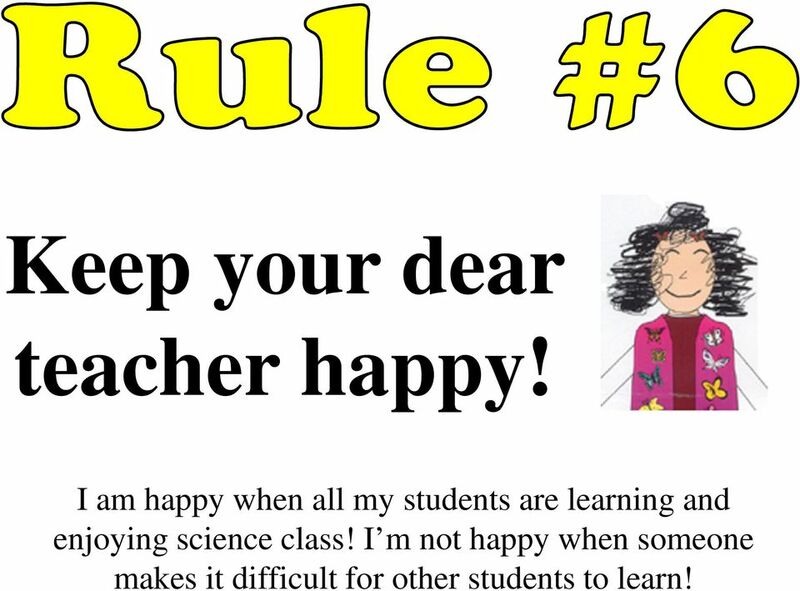 9 Keep your dear teacher happy! I am happy when all my students are learning and enjoying science class! I m not happy when someone makes it difficult for other students to learn! 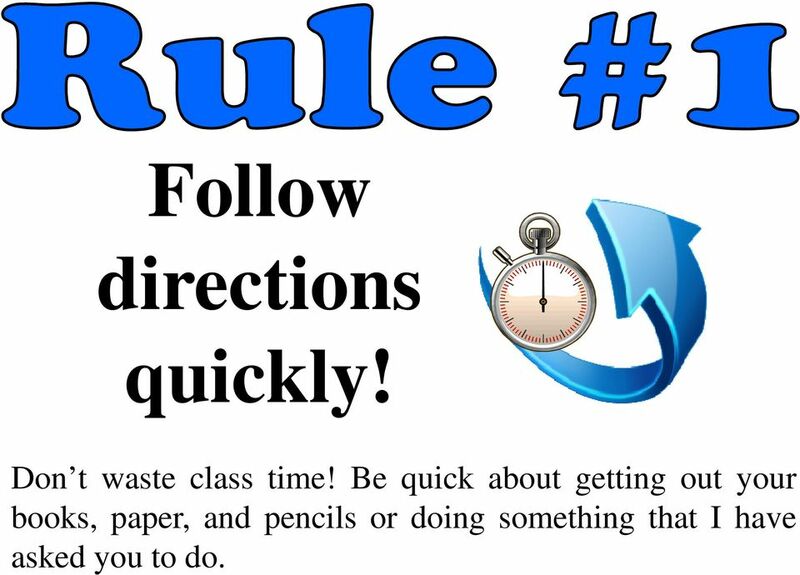 10 Rule #1 Rule #2 Rule #3 Rule #4 Rule #5 Rule #6 Follow directions quickly. 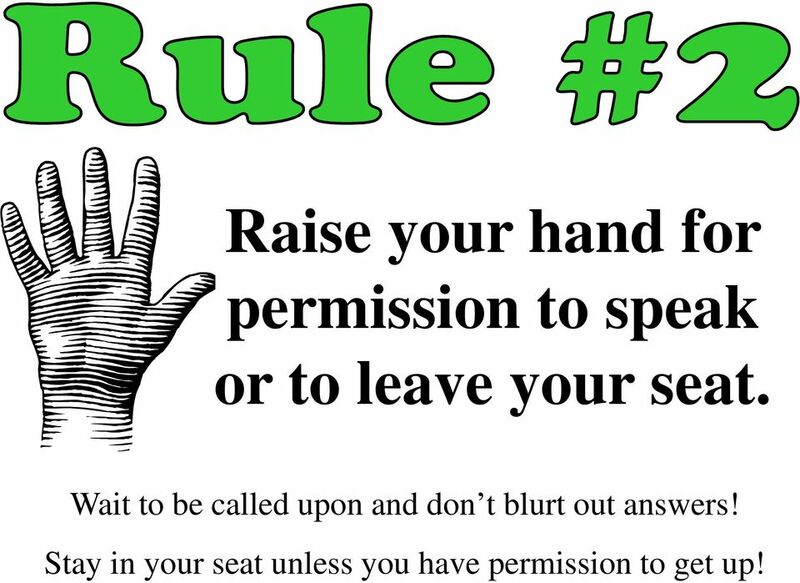 Raise your hand for permission to speak or to leave your seat. Listen while other people are talking. Make smart choices. Respect everyone! Keep your dear teacher happy. 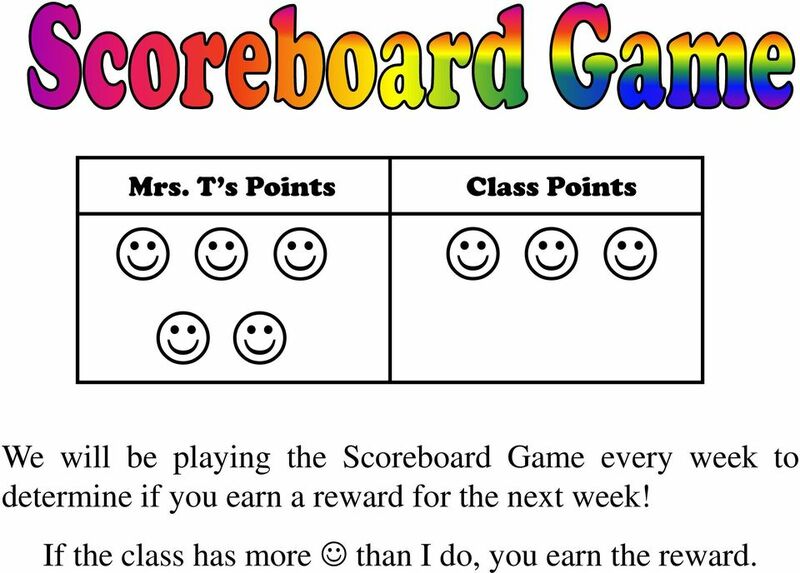 11 Mrs. T s Points Class Points We will be playing the Scoreboard Game every week to determine if you earn a reward for the next week! If the class has more than I do, you earn the reward. 12 If I say Papers and start counting, you need to put your papers in one pile at your table before I get to 5! 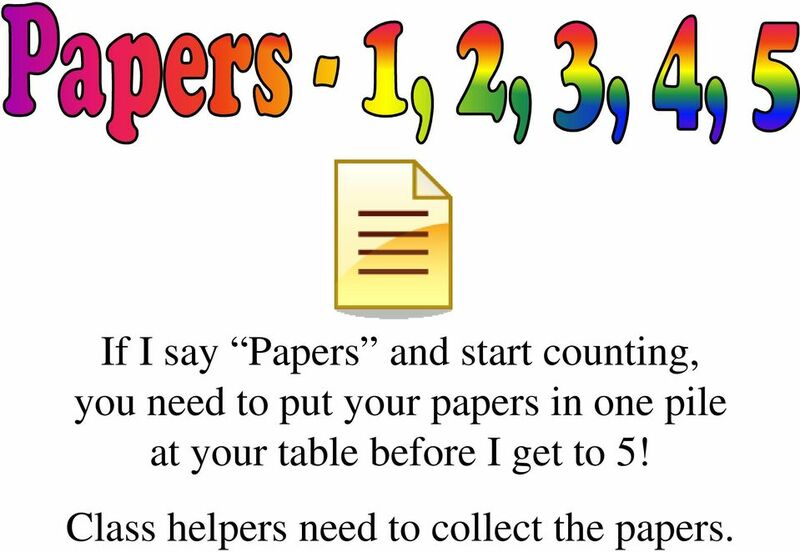 Class helpers need to collect the papers. 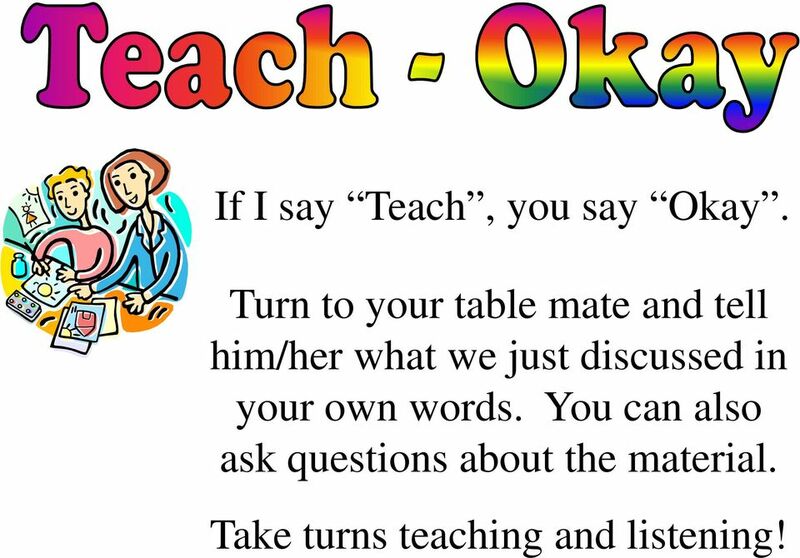 13 If I say Teach, you say Okay. Turn to your table mate and tell him/her what we just discussed in your own words. You can also ask questions about the material. 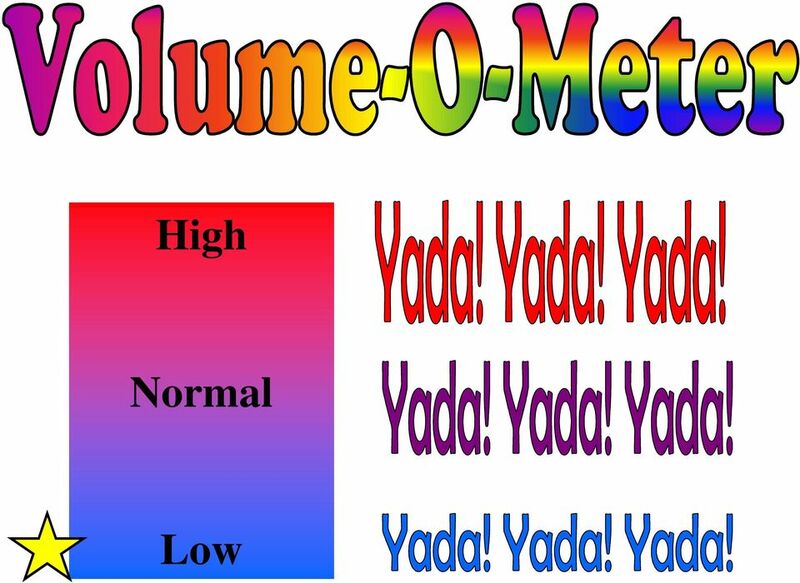 Take turns teaching and listening! 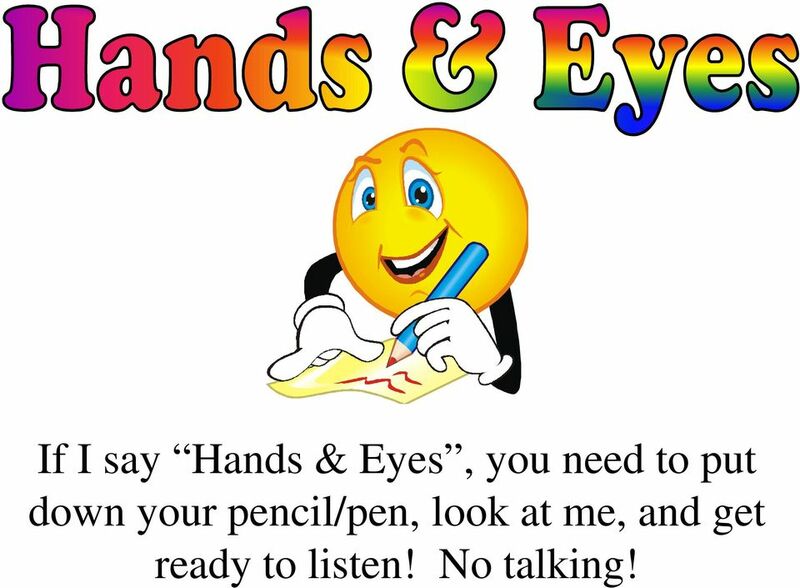 14 If I say Hands & Eyes, you need to put down your pencil/pen, look at me, and get ready to listen! No talking! 15 If I ask Got It?, you need to show me how well you understand what we are discussing! Thumbs up? Thumbs down? In the middle? 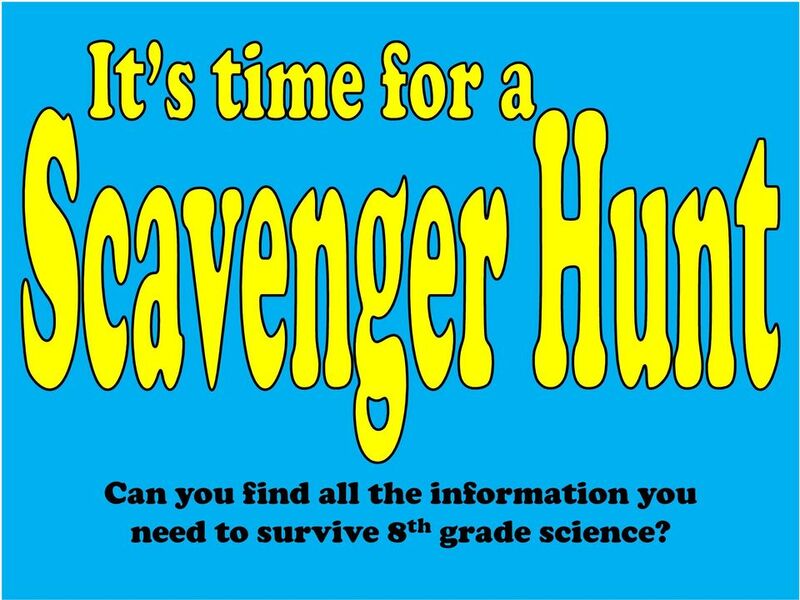 18 Can you find all the information you need to survive 8 th grade science? 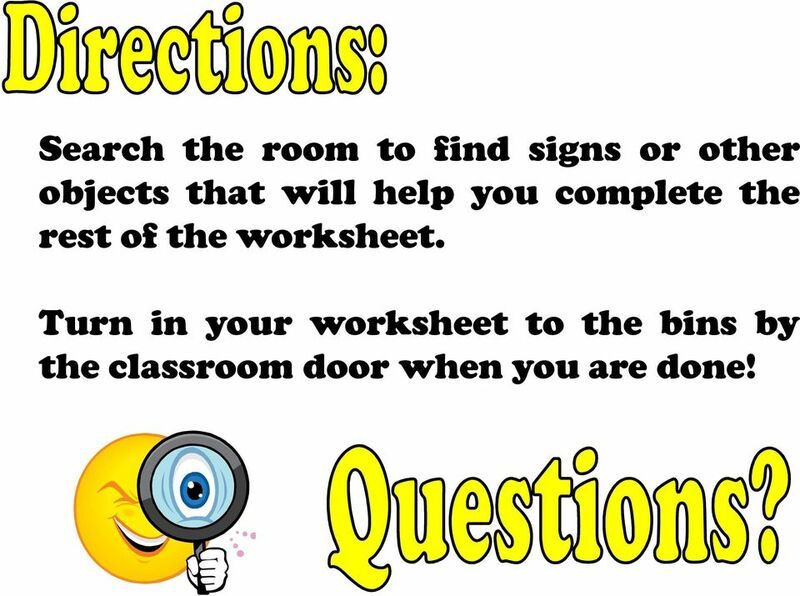 19 Search the room to find signs or other objects that will help you complete the rest of the worksheet. Turn in your worksheet to the bins by Turn in your worksheet to the bins by the classroom door when you are done! 20 5. 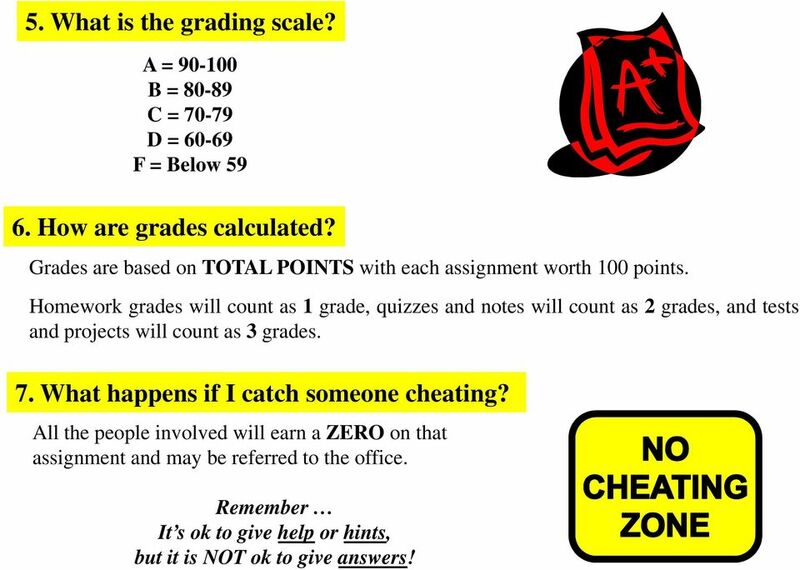 What is the grading scale? 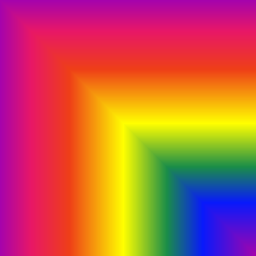 A = B = C = D = F = Below How are grades calculated? 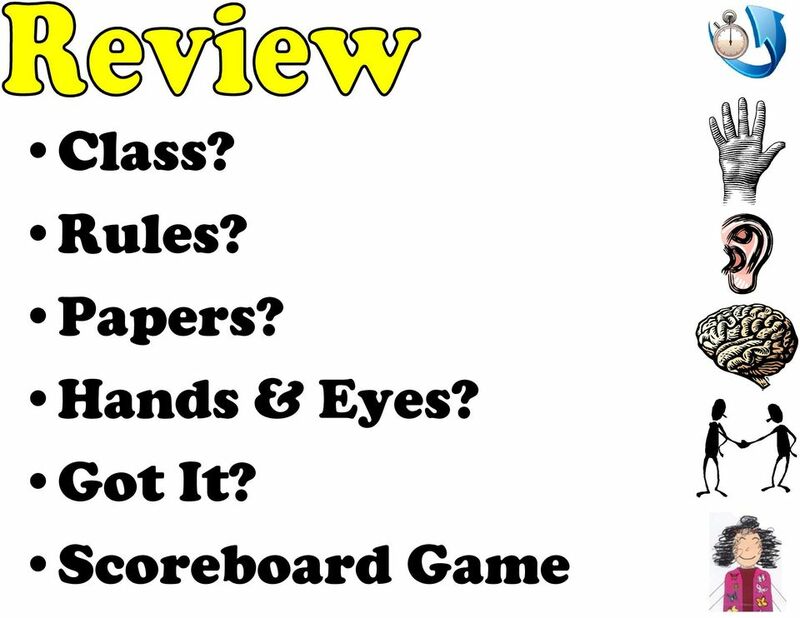 Grades are based on TOTAL POINTS with each assignment worth 100 points. Homework grades will count as 1 grade, quizzes and notes will count as 2 grades, and tests and projects will count as 3 grades. 7. What happens if I catch someone cheating? All the people involved will earn a ZERO on that assignment and may be referred to the office. 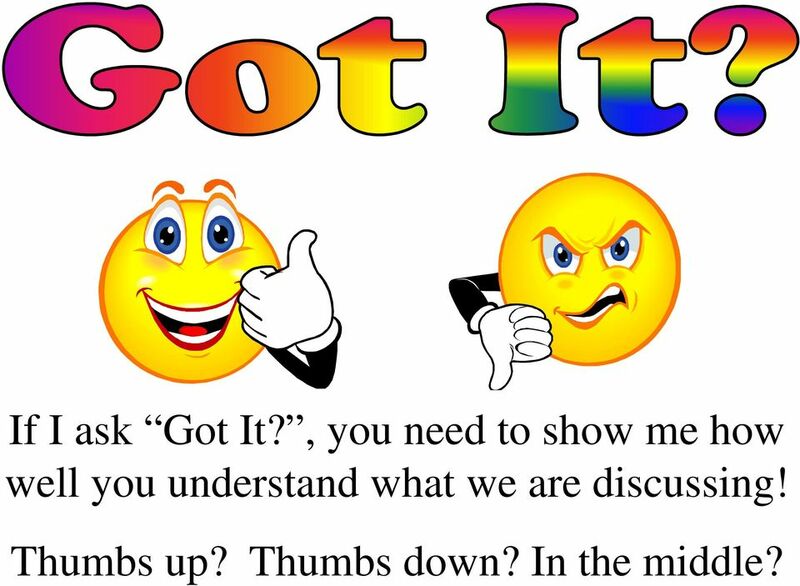 Remember It s ok to give help or hints, but it is NOT ok to give answers! 21 8. What happens if I forget an assignment at home, leave it in my locker, or just don t do it at all? I will earn a ZERO on that assignment. 9. How can I earn credit for late work? I can serve a 30-minute DETENTION to earn FULL credit for a late assignment. I must bring something to work on during the detention either the ASSIGNMENT that is late, other HOMEWORK, or a BOOK to read. 10. How long do I have to make up work missed while I was absent? I will have 2 days for each day I was absent to make up the work assigned while I was gone. Any work that was due the day I was absent is due when I RETURN TO CLASS. 11. When should I see Mrs. Trimpe for extra help? I should ask questions during CLASS when we have time to work on assignments or make arrangements to come in during HOMEROOM or AFTER SCHOOL. I should not wait until an assignment is DUE to ask for help. 22 12. What do I need to do to use the computer for an assignment? I should have Mrs. Trimpe write a pass on the ASSIGNMENT and show it to the LIBRARIAN before getting on a computer to do an assignment. 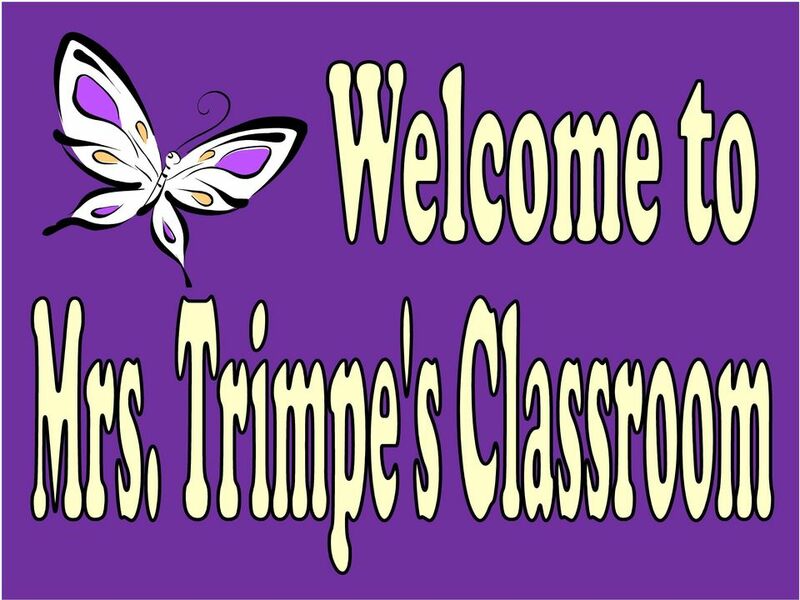 I will also use the SITES given to me by Mrs. Trimpe and will not use my computer time for playing GAMES, online CHATTING, or . YouTube, MySpace, FaceBook, Yahoo! Music, and similar sites are not allowed! 13. What do I need to do to use a pass? 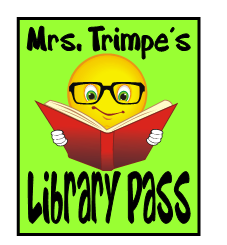 You need to ask Mrs. Trimpe for permission to use a pass to visit the office, go to the bathroom, or get a drink. Passes to your lockers are not allowed during class time! You should only be at your lockers during homeroom, lunch, and after school! 24 15. What is the URL for the school s website? Assignment: Take this page home and have your parents sign in the box. DUE DATE: Wednesday, August 26 th We have discussed and understand the information contained in this assignment. Student s Signature Parent s Signature Return this assignment by. NOTE: Students need a science folder by this date! Mrs. Schneck Culinary Arts I jschneck@westex.org COURSE REQUIREMENTS AND EXPECTATIONS 1. Each student is expected to arrive to class on time. When the bell rings, you are expected to be seated and quiet. Computer Lab Rules. Before you enter the lab: Keep your hands clean. Do not bring food or drinks. Throw away your candy or gum to the trash. Computer Lab Rules Before you enter the lab: Keep your hands clean. Do not bring food or drinks. Throw away your candy or gum to the trash. DO NOT ENTER If there is no teacher in the lab do not enter. Rio Salado College Course Description Introduction to accounting with emphasis on analysis and applications of financial information. TIPS & TRICKS: Encouraging Lincolnites to Vote for Your Business TIPS & TRICKS: SOCIAL MEDIA Spread the Word So, you ve made it in to the voting ballot. Now it is time to gather all those votes. But how?